Songs of Eretz Poetry Review is pleased to present “Research: Its Own Reward” by Lauren McBride. 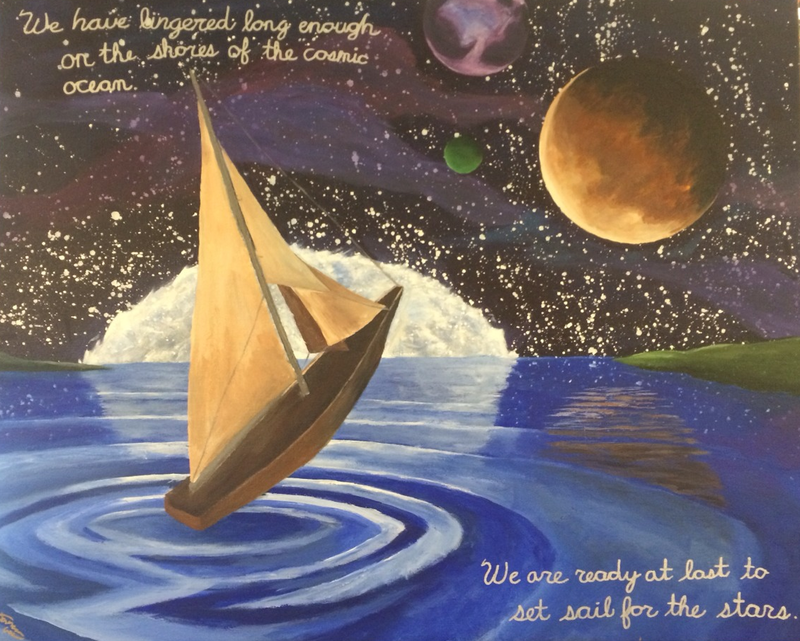 Mrs. McBride finds inspiration in faith, nature, molecular biology (she is a former researcher) and membership in the Science Fiction Poetry Association (SFPA), where she was twice nominated for the 2014 Dwarf Stars Award. Her work has appeared in various speculative, nature, and children's publications including: Songs of Eretz Poetry E-zine, Dreams and Nightmares, Tales of the Talisman, and The Magazine of Speculative Poetry. She shares a love of laughter, science, and the ocean with her husband and two children. Poet's Notes: This poem attempts to express the joy I felt year after year working as a research assistant, especially the excitement following a successful experiment, yielding information previously unknown and potentially valuable. Editor’s Note: Mrs. McBride beautifully executes her conceit here, and I certainly agree with the sentiment expressed. The accompanying art is an original painting by Jason Gordon, currently a second-year fine arts major at the Columbus College of Art & Design in Columbus, Ohio.